And its cousin, the SLK32 AMG, is pretty good as well. There were a few good developments that came out of the marriage between Mercedes and Chrysler. For instance, the Chrysler LX platform was developed using a chassis from the Mercedes E-Class, and on all of those awesome Hellcat models. Likewise, the awesome Jeep Grand Cherokee Hellcat and Dodge Durango SRT-8 share the platform from the Mercedes ML. The Daimler Chrysler partnership produced some winners, but one of our favorite creations from this American-German partnership was deemed a failure. Daimler Chrysler dissolved back in 2007, and the two companies went their separate ways. Mercedes went crazy, sticking an AMG badge on almost every single model, and Chrysler went equally mad sticking a 707-horsepower V8 into its cars under new Fiat ownership. Before the two companies broke up, the Germans and Americans teamed up to build a sports car: the Chrysler Crossfire. The car debuted for the 2004 model year, and it was a bit disappointing. Buyers could chose between a five-speed automatic or six-speed manual, both mated to a lackluster Mercedes M112 E32 V6 sending 215 hp and 229 lb-ft of torque to the rear wheels. Despite the lack of power, 0-60 mph with the six-speed manual was a rather respectable 6.4 seconds. In 2005, Chrysler introduced a much hotter version called the SRT-6, along with a prettier convertible variant. The 3.2-liter V6 was now supercharged, and produced 330 hp and 310 lb-ft of torque. 0-60 mph now took just 4.8 seconds (only 0.4 seconds slower than the then-new C6 Corvette), with a five-speed automatic the only transmission option. Though the Corvette may have been faster when it left the factory, the supercharged layout of the Crossfire left it open for tuning. Tuned Crossfires can be something of a drag strip sleeper. Even though we have a soft spot for the Crossfire, it didn't live up to Chrysler's sales expectations and was killed off after selling fewer than 2,000 units in 2008. All told, a little over 76,000 Crossfires were sold in both right-hand-drive and left-hand-drive markets. 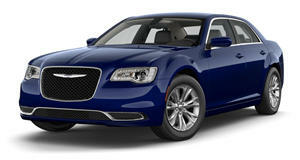 Chrysler's loss is your gain, because used examples are now extremely cheap. If you are a manual purist, you can pick up the base V6 model ranging from around $5,000 for a 100,000-mile example, to around $13,000 for a mint condition model with less than 20,000 miles. These are decent options if you like to row your own gears, but the SRT-6 is the far superior car. Even the most expensive SRT-6 model we could find comes priced at a reasonable $29,900 - and that was for a museum piece with only 602 miles on it. We still found plenty of pristine examples, both coupes and convertibles, for less than $15,000. If you simply don't like the way the Crossfire looks, or feel ashamed to drive something with a Chrysler badge on it, you can simply opt for the Mercedes SLK. The Crossfire shares around 80% of its parts with the SLK, but lacks the German car's folding metal roof. 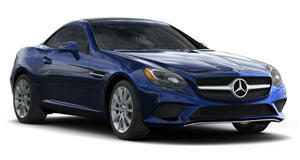 The SLK may be slightly older, but the prices are in line with those of the Crossfire. Even the most expensive SLK32 AMG model we could find had an asking price of $19,550 with around 30,000 miles on it. We also found plenty of higher mileage examples for as little as $6,000. Though these cars are cheap, it is important to remember that they are old and German. Don't say we didn't warn you, but maintaining an old German car isn't for the feint of heart. Neither car is what we would call upscale on the inside, as even the Mercedes wouldn't pass for luxurious by 2018 standards. The Chrysler features a bunch of silver plastic that can wear badly, but nice examples with clean interiors aren't difficult to find. No matter which car you choose, the SRT-6 or the AMG, you'll be getting a supercharged sports car with over 300 hp, which can be tuned to be a great sleeper. Neither car was perfect, but that is precisely why they are so affordable today.